Ah, coffee! It’s the aroma that wakes you up and gets you up, even if you’re on vacation. But it’s not just the smell that gets you going, it’s the taste. That’s why Jim and Tammy wanted to create a signature blend for Bay Haven Inn of Cape Charles. They knew exactly who to turn to for this important addition to the inn, Eastern Shore Coastal Roast. Kristin and Jamie, owners of ESCR, asked them all sorts of questions. What kind of roast did they like? Light, medium, or dark? Were we looking for any particular characteristics? Jim’s the avid drip coffee drinker, and he wanted a European style in the French roast range. That’s when Kristin went to work. She came up with three or fours coffees with different themes that fit the range. From there, it was a whole lot of fun mixing some of this bean and some of that bean to try out. Tammy’s job was to be the coffee aroma tester. If the aroma that wafted through the entire house smelled great, then she approved of it. There were some roasts that didn’t meet her strict aromatic standards! Finally, the two hit on three roasts that became the finalists. the three coffee finalists. 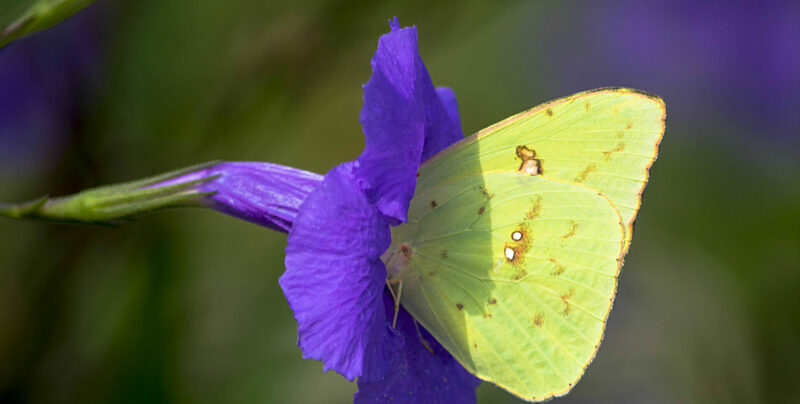 Jim already knew which one he liked best but he wasn’t about say which one it was. To everyone’s amazement, their friends picked the same blend Jim did! They now carry that blend as our signature coffee at the inn. And, as you probably guessed, it’s been a big hit! The success of the inn’s coffee goes to Kristin and Jamie at Eastern Shore Coastal Roast. They went the extra mile to let Jim and Tammy find just the right flavor for the inn. But then again, that shouldn’t be a big surprise. ESCR sells their coffee to other businesses to use in different ways. 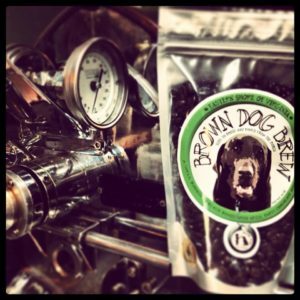 Locally, Brown Dog Ice Cream uses their beans to the maximum tastebud-pleasing advantage. If you haven’t tasted their coffee ice cream, you’re missing out! Not only does Brown Dog use coffee as a liquid in their ice cream, ESCR also grinds the coffee to almost powder. It’s then layered throughout the coffee ice cream. It’s heavenly! 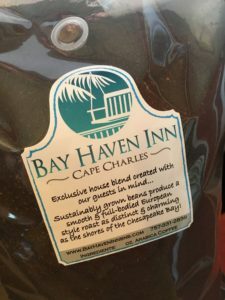 This entry was posted in Bay Haven Inn Experience, General, Uncategorized and tagged Bay Haven Inn of Cape Charles, brown dog ice cream, coffee, eastern shore coastal roast by admin. Bookmark the permalink.